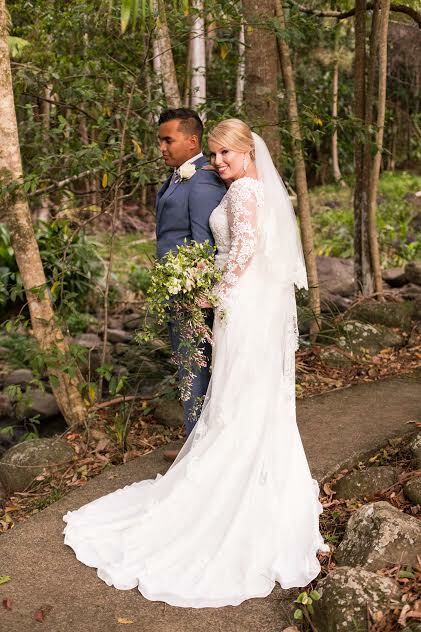 Stunning real bride Deni was married in a gorgeous fitted gown that accentuated her curves. The stunning gown from White Lily Couture was the perfect choice for her special day! We are so happy to have provided you with such a gorgeous dress for your special day! We wish Deni & her husband a lifetime of love & happiness.